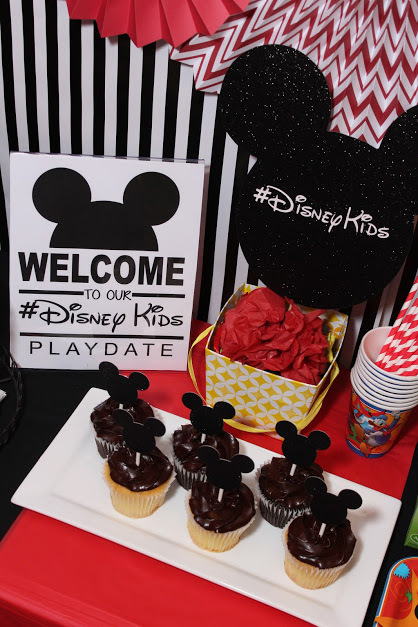 We were so excited to be selected as a playdate host for DisneyKids this year. As huge Disney fans, this year’s theme “The Magic is Endless” was a perfect fit. 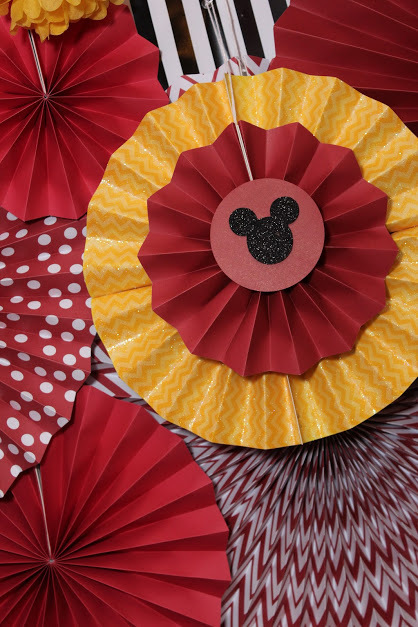 Check out these fun DIY Mickey Mouse Party Ideas. 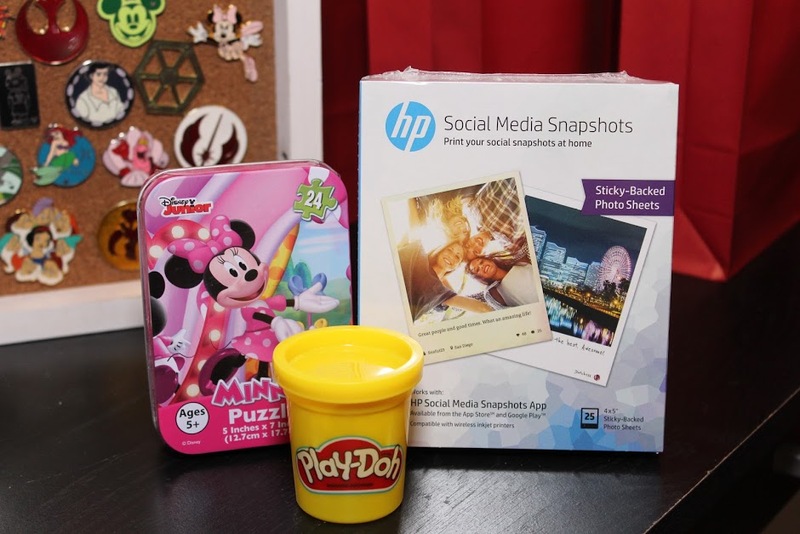 We received a fun package in the mail with a ton of goodies including a Sofia the First suitcase from American Tourister, a Dory Pillow Pet, Mickey Mouse Clubhouse decor, Pop Secret popcorn, Softsoap® soap, MyPrintly HP invitation printables and Social Media Snapshot Photo Packs. Planning our playdate was really easy! 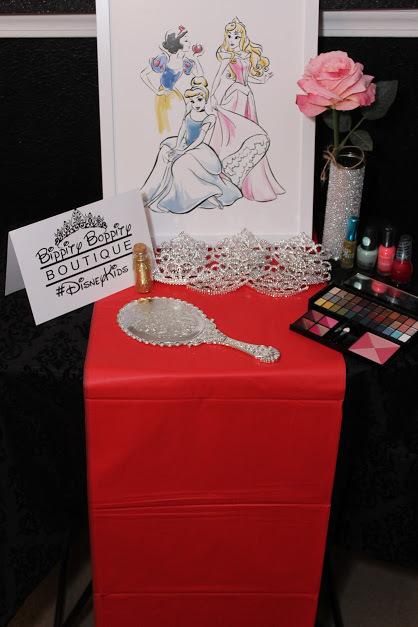 I love any excuse to throw a party, especially when it’s Disney themed. 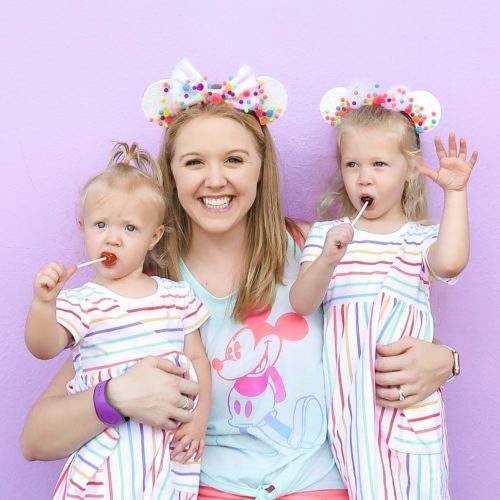 Since the playdate is supposed to be an extension of the magic one might experience at a Disney park, I choose to focus all our activities on some of our favorite park must dos. 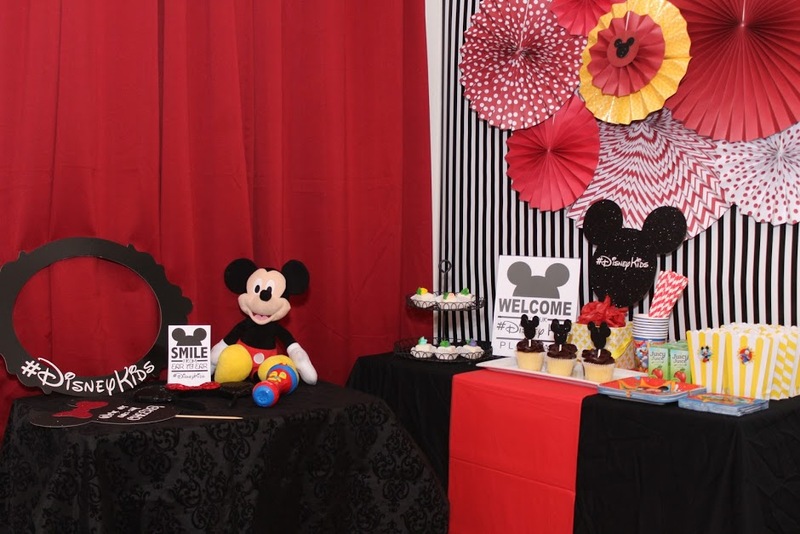 For our DIY Mickey Mouse Party, I used a classic red, yellow and black color scheme to match the Mickey Mouse Clubhouse decor we received. I also found a ton of extra matching decor at the Dollar Tree (my favorite store ever). I used a plain black flat sheet as the tablecloth base (one of my most used party planning hacks) and a folded plastic tablecloth for a runner. These colorful pinwheels were found in the clearance section of Michaels craft store. The striped background is actually just wrapping paper pinned to the wall. Our photo booth area was a hit! Everyone enjoyed taking pictures with the fun props I cut on my Cricut machine. 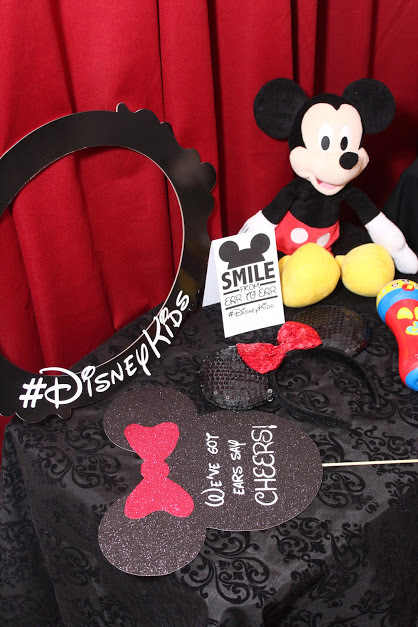 To give our guests an authentic Disney Parks experience, we served PopSecret popcorn, our must have Walt Disney World snack, Petit Fours from Publix bakery, Juicy Juice boxes and delicious chocolate topped cupcakes with a custom cut Mickey head topper. 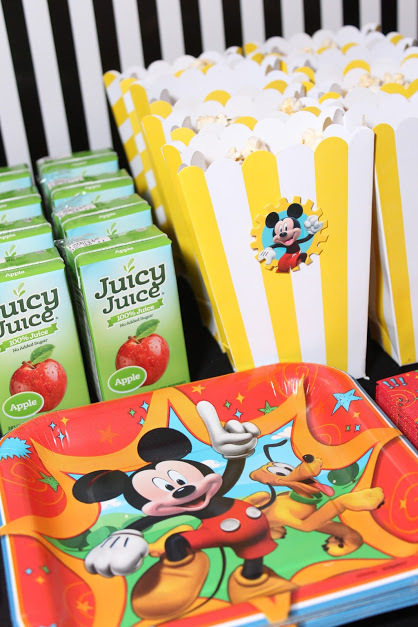 Each guest also received a yummy, all natural popsicle in Peachy Orange or Chocolate Covered Strawberry flavor from our friends at Squeaky pops. We set up various stations around our home to keep our little guests busy. Guests enjoyed a coloring station with these books provided in our playdate kit. 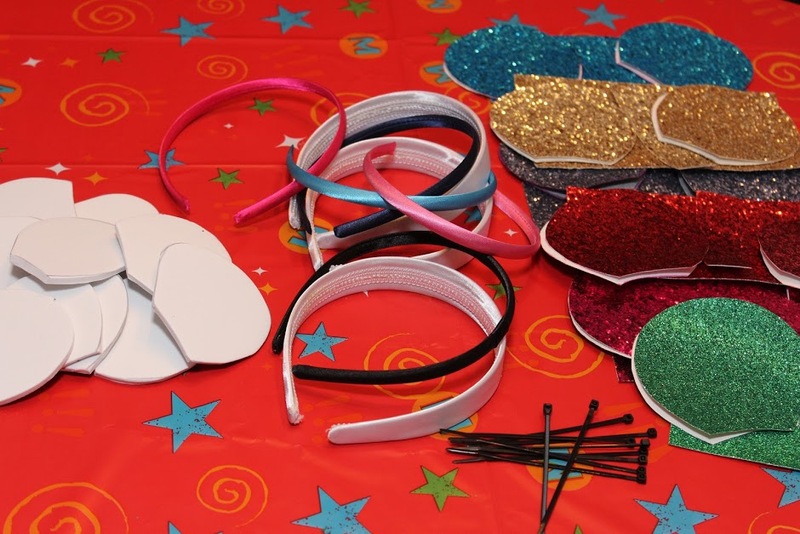 We also set up a Mickey Ears craft station where each kid (with the help of an adult) was able to make their very own Mickey Ears to wear and take home (see the tutorial for these glitter Mickey Mouse ears here). 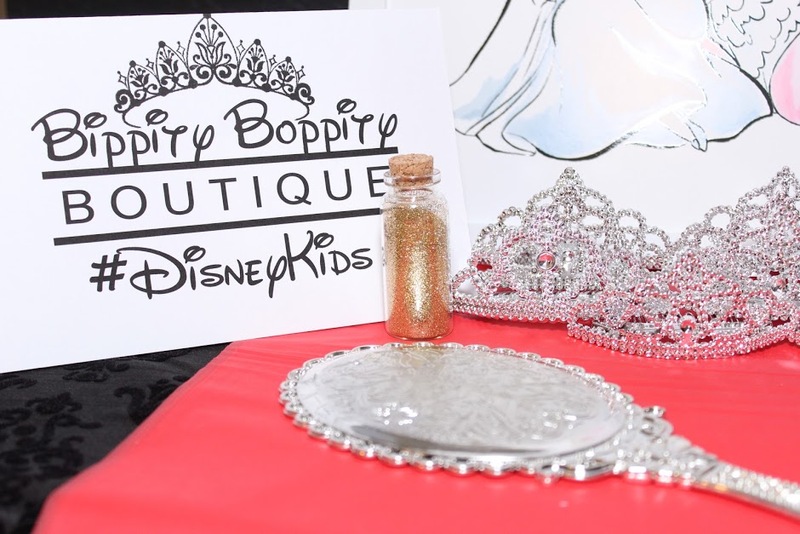 Since nearly all of our guests were girls, I also wanted to recreate the magical Bippity Boppity Boutique experience for our playdate. We asked guests to come in their favorite princess dress. 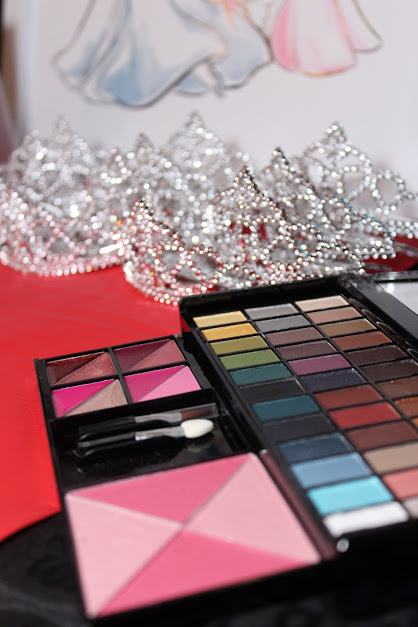 I set up a small table with comb in crowns for everyone to keep (found at Hobby Lobby), makeup, nail polish and of course “pixie dust”. This station was one of the most talked about activities at our party. Other stations included a Cinderella castle playspace with my daughter’s toys and a showing of the movie “Moana” for guests to enjoy in between. At the end of our playdate, our guests received gift bags. 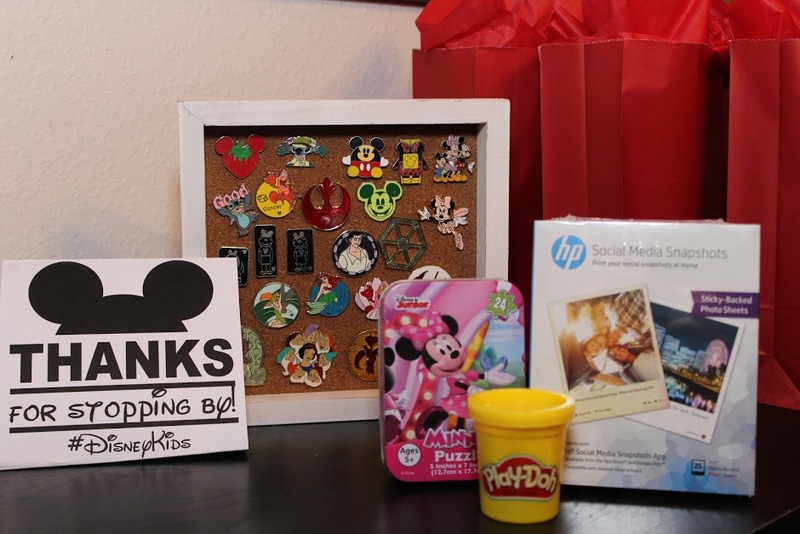 Each bag included a Minnie or Mickey Mouse puzzle, PlayDough (my daughter’s favorite activity right now) and a HP Social Media Snapshot Photo Pack for parents to print pictures of their own Disney memories. We also kept a pack for ourselves and plan to mail out a photo booth picture of each guest in a thank you card. We also set up a pin board and let each guest choose a pin to take home. Pin trading is a favorite of ours at the parks. Allowing our guests to do this helped make our playdate experience even more authentic for our little guests. A huge thank you to all the brands who helped to make this party possible! American Tourister, Pillow Pets, HP and My Printly, Pop Secret, Softsoap.